4.2 What Do These Kits Test For? Water is always at risk of being contaminated with harmful bacteria. Whether you use it for laundry, drinking, bathing or swimming, there is always the risk of coming in contact with contaminants. Therefore, water quality is a concern for many people. Did you know that you can test the quality of the water you use? 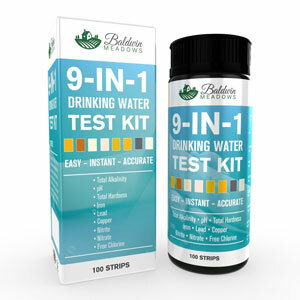 There are water testing kits that allow you to check whether your water is good or not. There are various types of kits as well, and they come at multiple prices to let people use healthier water. In this article, you are going to learn more about water tests and how they work. 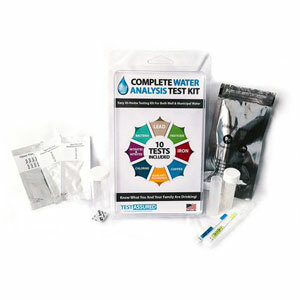 We have also prepared some home water test kit reviews for you. It’s important to avoid dangerous water at all costs, so you don’t become sick. At the end of this post, you will be able to find the best water test kit for you. Sometimes, you find it hard to trust cheap products, because you tend to associate a higher price with higher quality. However, this water test kit is one of those exceptions this rule. For a very affordable price, this product brings you what you’ve been waiting for – an effective way to detect water hardness. Usually, hardness in the water is caused by calcium and magnesium ions. Although there are other divalent and trivalent metals with similar effects, they are not in such a high concentration in potable waters to be a problem. 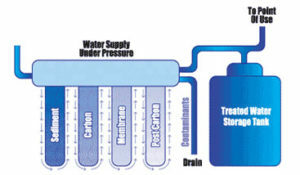 Hardness in the water can increase the consumption of soap in laundries and causes scale in boilers. So, you need to get rid of it as soon as possible. 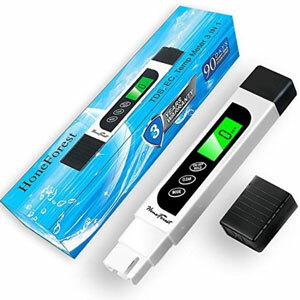 Hach made test strips that indicate if there’s hardness in the water in your household. Their color changes according to the hardness in the water, and the color chart on the item will tell you what each color means. Consequently, you can find out if there’s something you should do about your water. 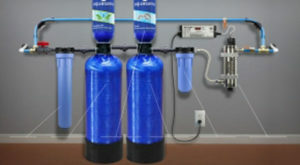 Would you like a water tester that could be used for all types of water? In that case, this model from HoneForest is the one for you. It’s usually used for water quality testing, as well as aquaculture, water treatment, water purification applications, pool & spa and more. It’s a very reliable and easy to use model, making it a great tool to have in your household. After all, you need a product that you can trust. This model comes with 3 years of warranty, backlit and auto-lock function, and an auto-off in 2 minutes to save battery. The backlit LCD makes it easy to read the screen, and the product also includes a protective carrying case with belt clip. Therefore, it’s very easy to carry, too. If you want to test the water in your household, but you also need some spare cash, you can’t go wrong with this water test kit. It’s affordable, and it’s very useful in case you need a pH tester for laboratory or household use. 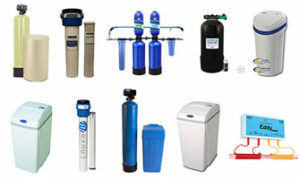 Moreover, it is great if you want to test the pH balance of the pool, Spa, drinking water, and many others. 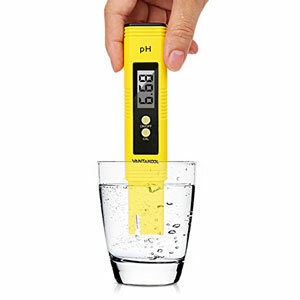 What makes this water test so great is the fact that its pH meter has an auto-temperature compensation feature, and it adjusts to the water quality and temperatures quickly. As such, the readings are received almost instantly. Moreover, you can use a one-touch button to calibrate the tester. If you’re worried about the pH level in the water you use in your household, this meter is a friend in need. A water tester that can detect over 170 contaminants – what more there is to want from such a product? This item is a professional one and uses EPA Methodology. Having an experience of nearly 30 years in water testing, the manufacturers developed an efficient test that detects whether the water you drink is free of contaminants or not. The contaminants it can detect include heavy metals, volatile organic compounds, and inorganic chemicals. It also has a self-test for 8 pathogenic bacteria, including Total Coliform and E-Coli. Basically, what you have to do is fill some bottles with tap water, send them to the lab along with the test kit, and you will get the results within 6 business days. Most clients are pleased with the way the product works. According to them, the test results were accurate, and the lab team was very professional. As water is probably the most ingested substance in the world, you need to be very careful because you don’t want to drink contaminated water by mistake. Therefore, you need to test it and make sure you can continue using it. Watersafe created a product meant for this task. It’s designed in such a way to help you test the water for contaminants as easy as possible. It can detect a wide range of contaminants, including bacteria, chlorine, copper, iron, lead, pH, pesticides, and many others. Moreover, this water test kit is very affordable and easy to use, and it’s an essential addition to homes that draw water from private wells. Some previous customers were happy as the water test had easy-to-read results and simple directions. At the same time, others declared that they got inaccurate results, or that the product they got was probably faulty. Do you need a test for multiple types of contaminants? Well, then you should know that this kit has 10 tests in one! Therefore, you can test the water for contaminants such as pH, copper, pesticide, iron, lead, bacteria, nitrites and nitrates, chlorine, hardness, and alkalinity. It’s better not to risk ingesting any of these, because they can be harmful to your health. So, this water test kit can prevent you from doing that. You can get the results easily and quickly, without having to mail them to a laboratory first. This makes it easier for you to find out if your water is safe just in time, so you can take measures as early as possible. Moreover, this water test kit comes with an instruction manual and color charts to make it easy to read. It is made in the USA, so if you are a US resident, you can get it easily. The last thing you want when you drink water is for it to be contaminated. Hardness, copper, chlorine, pH, alkalinity, lead, iron, nitrate & nitrite are all contaminants that could be in the water you drink. Baldwin Meadows made a water test kit to help you find out whether the liquid is safe to drink or not. The features mention that it is reliable, easy to use and that you instantly get the results. It also comes with 100 test strips, so you can test your tap water and well too. While some people were pleased with the overall use of the test, some had something else to say. For some people, it didn’t work, and it was not sensitive enough to determine if the lead levels exceed EPA standards. For some who tested different water sources, the results were the same, and not accurate enough. If this is new to you, you probably don’t know how water test kits work. Modern chemistry has made it possible for people to detect the chemicals present in the water, even those that are in low concentrations. Now, you may think that in order to test your water, you have to spend tons of money on professional teams that will come to your home with fancy equipment. Thankfully, that’s not the case, because water test kits are out for sale, and you can check the water in your household yourself. Not only can you do this quickly and easily, but it is also very affordable. Basically, what these water test kits do is check whether there are contaminants in your water or not. Such contaminants could be iron, bacteria, pesticides, chlorine, nitrate & nitrite, lead, alkalinity, hardness, pH and many others. Water test kits come in various forms. They are different in the way they work, and each one has a certain level of accuracy. The price doesn’t always indicate the value, so it doesn’t mean that if a product is more expensive, it must be better than a cheaper option. These tests are available for a wide range of chemical tests. The way they work is by adding a powder packet or a few drops of water to a sample in a reusable plastic tube. Afterward, you have to place the tube in a small plastic viewing box. The viewing box has a plastic disk that has a certain color gradient on it, and you have to rotate the color disk in order to find the part that matches the color of the sample. Once you do this, you have to read the concentration of the chemical from that disk. Usually, color disks are done in multiple steps, and sometimes even have wait times. Considering they are more complicated, they may be pricier, but they’re also more accurate. 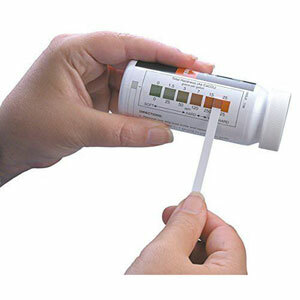 Test strips represent a very affordable method if you want to quickly test your water but may not be as accurate compared to other methods. Basically, they are small, single-use strips that change their color according to the contaminant in the water. In other words, they have the ability to indicate the concentration that a specific chemical has. It usually depends on the particular tests, but users have to “activate” the plastic strip and to do that, they have to dip it into the water sample and swish it around. Other tests require holding the strip in a steam or water. You have to wait a short time, and then you can compare the test strips to the color chart featured on the test kit. By doing that, you will be able to read the concentration of the chemical. Out of the three types of water test kits, this is the most accurate one. Portable and lightweight digital meters, photometers, and colorimeters are also available for water testing. However, they also tend to be more expensive than their counterparts. Hand-held digital instruments require calibration and batteries. Still, if you want accurate test results, you can’t go wrong with this type of test. Check out our comparison to find out more about the difference between hard and soft water. What is great about home water test kits is that you can use them at home, and you don’t need to hire an expert to complete such a test. All you have to do is fill up some recipients with water and use the test kit you purchased. Through various ways, the tests will show you if the water you use is safe or not. Thus, they help you take measures in case the water is bad. Drinking water that is contaminated by chemicals could have a serious impact on you and your health. If the test is negative, then you know you have to take some safety measures to stop the contamination and start drinking clean water again. Sometimes, in order to get rid of the contamination, you have to install devices that help the case. For example, instead of getting a conventional showerhead, you could purchase a specialized one with disinfectant properties. Even though you will have to spend some money from the wallet, t least you will know that you and your family are safe. Even though you don’t need a professional’s help to test your water supply, you can still find out the exact contaminant/s in your water. 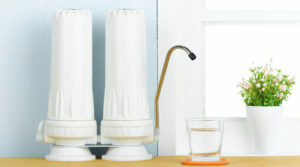 Home water test kits may be different than lab tests, but they still do their job properly. Therefore, not only that you will find out whether your water is contaminated or not, but you will also know exactly what the contaminants are. It’s important to know what type of product you’re dealing with before you purchase it, which we’ve prepared this buying guide. When you’re looking for test kits that help you determine the quality of the water in your house, there are two options you could go for. You have tests that give you instant results or tests you have to send to a laboratory in order to find out more about your water’s quality. They are both great in providing information about the water in a household. Relying on well water for your family or livestock means you need a kit that ensures whether the water source is free of contaminants or not. The Watersafe product gives you instant results at home and helps you test for many contaminants, such as iron, copper lead, bacteria, and many other toxins. This water test kit is pretty easy to use and has strips that provide ranges for each tested contaminant. However, some buyers declared that considering the results are only provided within a range, it is not as specific as laboratory testing is. Still, if you need a good reference whether you can continue using your water or you must take measures, it is useful. This mail-in test kit must be sent to a laboratory in order to find out the results. You will have to take a water sample, then send it to a laboratory where specialists can see if it’s free of contaminants or not. The company will send you the results, as well as treatment suggestions in case the water is contaminated. You usually receive them within 6 days. This kit tests for eight different types of bacteria, adding to the amount of useful information you are getting from this kit. The directions on it are easy to follow, and the results are said to be very accurate. There are some tests that can detect a wide variety of contaminants, while others only detect about two types. The latter ones are less expensive, as you might expect. However, most of the times, the ones that detect multiple types of bacteria are more useful. After all, you don’t know what you’re dealing with, so you need an accurate way to determine what type of bacteria is affecting your water and your wellbeing. Before you decide to purchase such a kit, you need to think about the water source you’re using – is it a public water supply, a well, or is it from your faucet or pool? Usually, water test kits are formulated for various sources of water, and they can detect the most common contaminants found in them. As you already know, there are more types of tests. Some are more accurate than others, but a little more expensive. If you have enough time, you should consider a test that requires you to send it to a laboratory, as that option is more accurate. If not, you should purchase a test kit that gives you immediate results, so you don’t have to wait for the testing facility results. What Do These Kits Test For? Water test kits have one goal – to detect the contaminants in your water, so you can take the proper measures to ensure your safety. Water test kits detect many contaminants, such as iron, lead, nitrate, nitrite, alkalinity, pesticides, hardness, bacteria and many others. Also, check out the benefits of alkaline water ionizer machines. 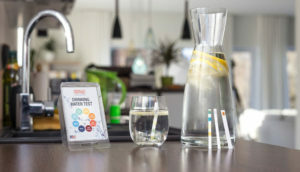 Home water test kits could detect these and not only in different water sources, allowing you to live a healthy life with safe and contaminant-free water. How often do I need water testing? It depends. In the USA, wells are usually required to be tested after they are constructed. Afterward, the owner of the property is responsible for water testing. A recommendation from EPA would be to test the water once a year, so you find every microorganism that lives in there. Every two to three years, you could test it for elemental contaminants and harmful chemicals. If there is a flooding, an earthquake, and any other land disturbance, or there are problems with well water in your area, you should test your water as soon as possible. How do I determine if my water is contaminated? Depending on the water test kit you use, you will be able to find out by either sending it to a laboratory or by using the quick results water tests. The latter comes in various types as well, as there are water test strips, color test strips or hand-held digital instruments. Should I really test my water? Yes, because it’s the only way to find out if there are contaminants in your water or not. You should consider testing it because ingesting contaminated water could lead to serious health problems. Also, check out the most advanced filtered water bottle reviews! 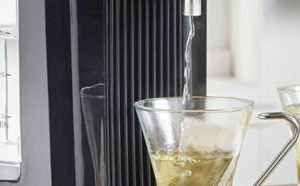 Read on to learn how to make your own homemade water filter. Water testing kits are a great investment when you want to detect the contaminants in the water in your household. Not only that they offer you a variety of options when it comes to the way they operate, but they are also able to detect many types of contaminants. 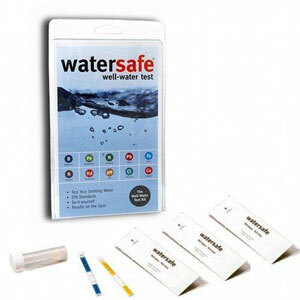 Moreover, some home water test kits are very cheap, so you don’t need to spend a fortune for your safety. However, before buying any type of product, you need to be well-informed. You need to know the types of products out there, their features, the main factors to consider, etc. And this is exactly what this article does for you – it will help you take a decision. 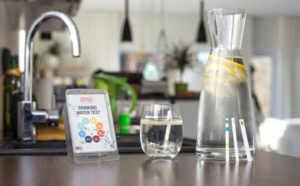 Hopefully, the home water test kit reviews allowed you to see the variety of products on the market and what they can do for you. As a result, you will be able to find the best water test kit for your home. 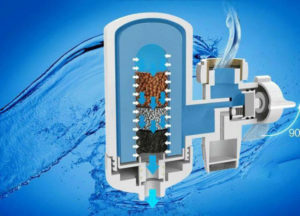 Water Filter Mag!